In early 2013, I was working on starting a low-income, first-generation student group. When I heard about class confessions, I started to bounce around the idea to other students. 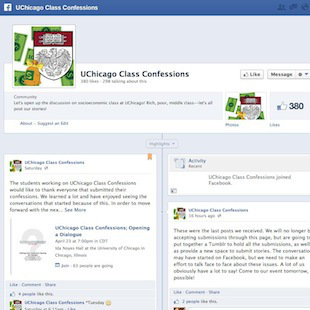 In the spring of 2013, some students and I launched the UChicago Class Confessions Facebook page. It was so successful that we even had a USA Today College article written about us. 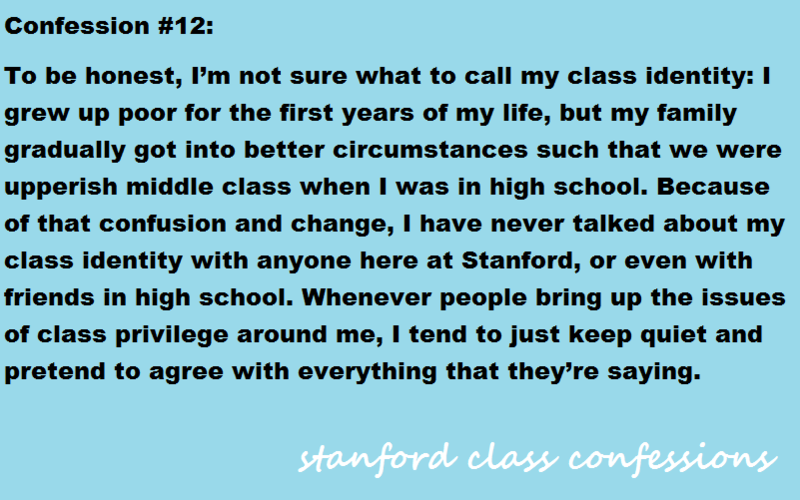 Northwestern followed the trend last year with their Class Confessions Tumblr. Arguably the most successful version, Northwestern collected over 500 confessions and had an unprecedented amount of coverage from their campus paper. 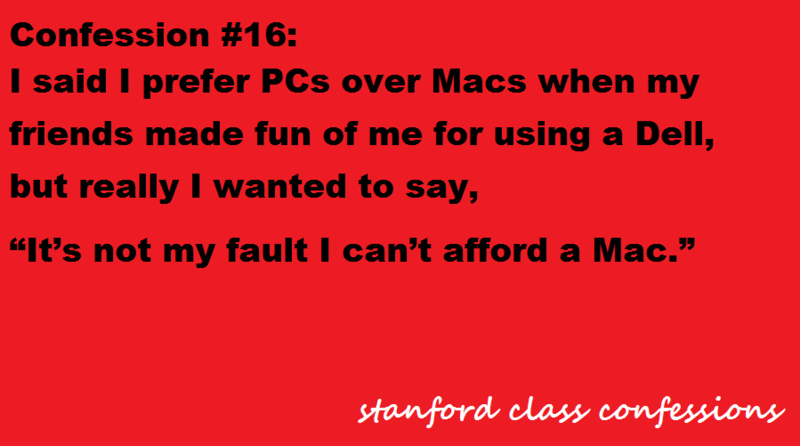 The latest version of class confessions comes from the Claremont Colleges consortium. Students launched the Claremont Class Confessions Facebook page this summer. While class confessions is still a small movement, the awareness it has brought to some campuses is undeniable. I still get people coming up to me saying how our Facebook page changed their perceptions on class. It’s a trend worth following and I hope more schools decide to take part in the class confessions movement.